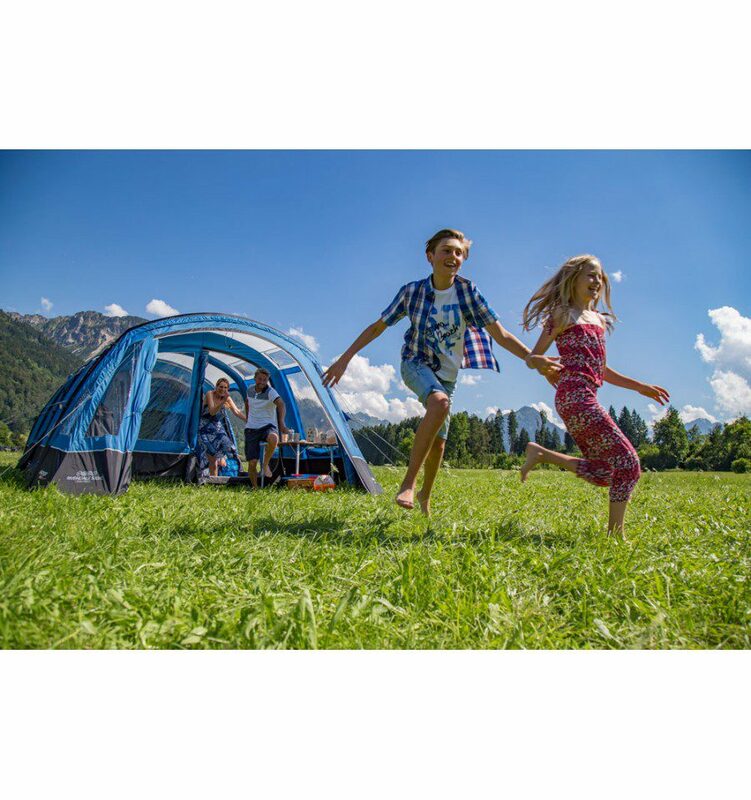 The Rivendale 800XL is a vibrant family tent which is an ideal base for spending quality family time together and enjoying the outdoors. 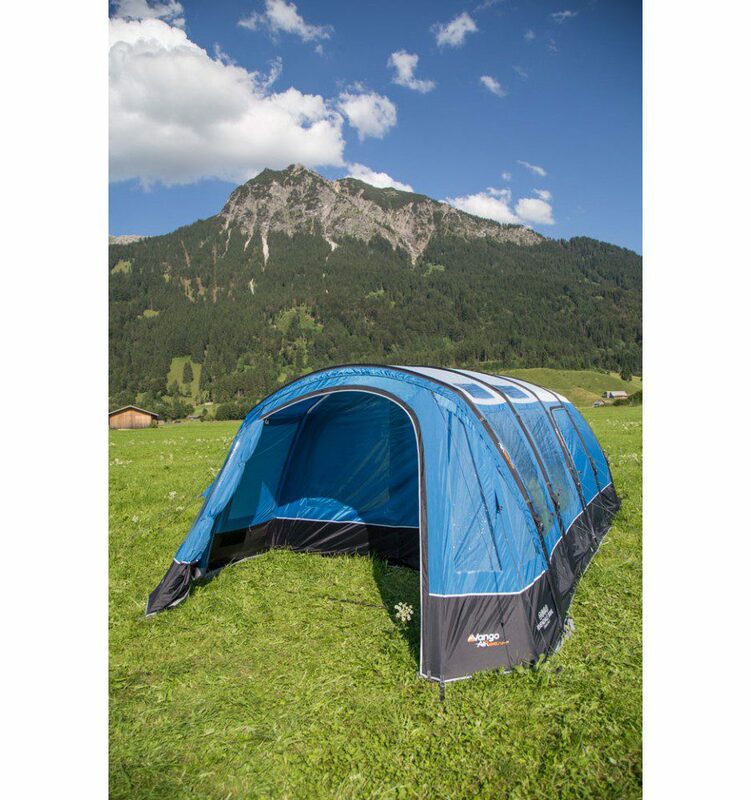 This five AirBeam® tunnel-tent is breath-taking in size, structure and brightness. The built-in extension is an extra living room in itself, with huge vista-style windows which capture the best of the scenery. 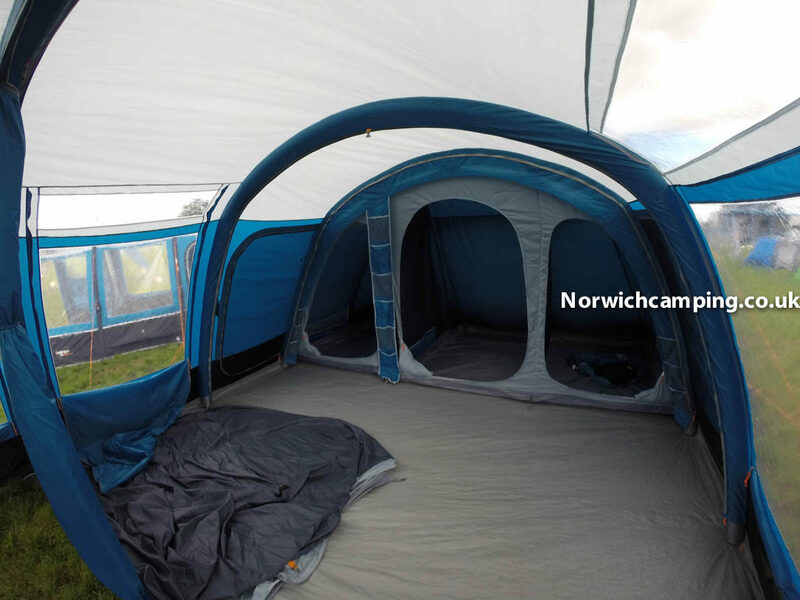 This 8-person tent also features four king-size bedrooms and a large multi-functional living space. 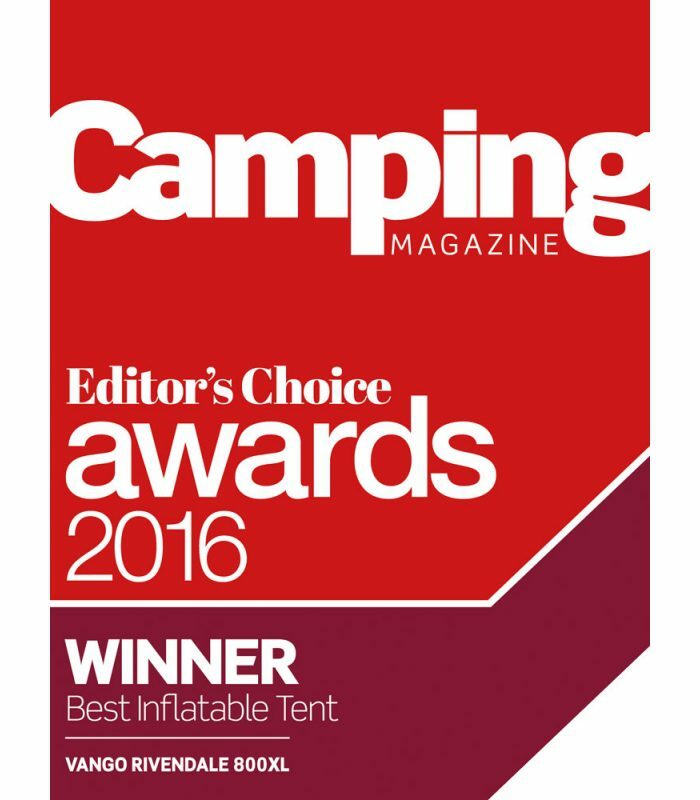 The Rivendale can be tailored to any family campers' needs, has impressive attention to detail and is sure to make any camping holiday a memorable one. 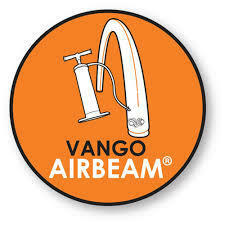 The Vango Rivendale 800XL Airbeam tent stands out from the rest due its size, quality and colour. 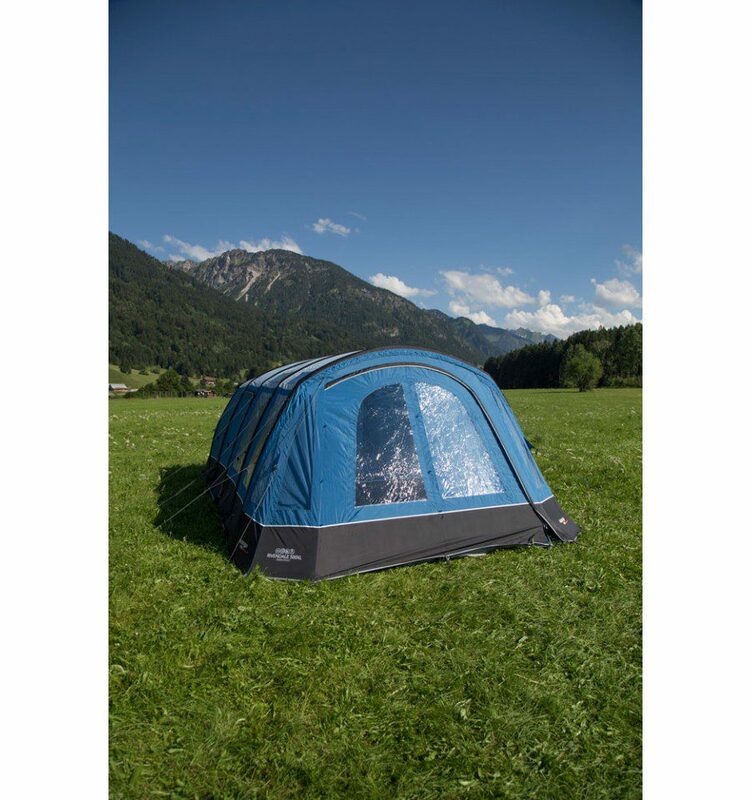 It’s made from Protex 150D 5000mm Polyester, which is great for families, and suitable for up to 6 to 8 people who like to get away for long breaks. 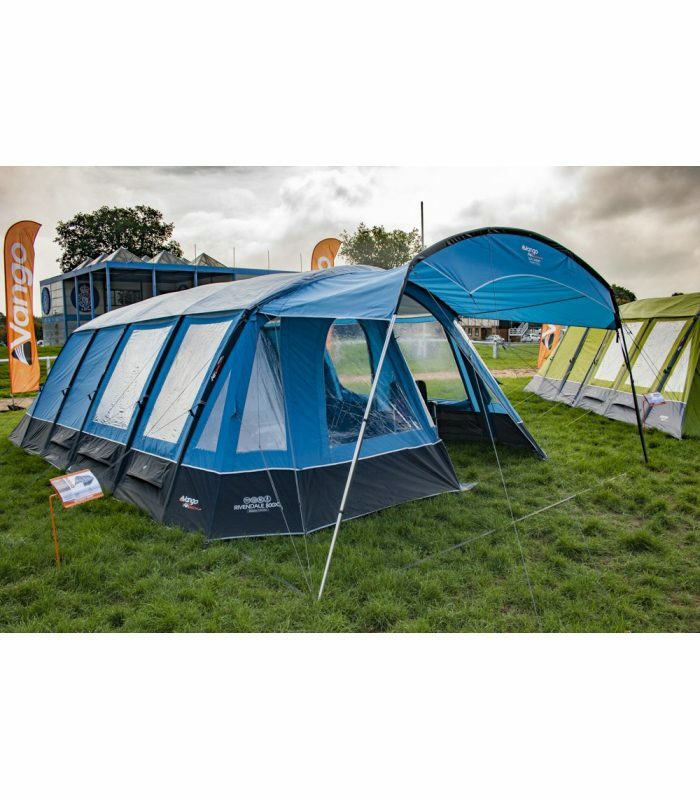 The Rivendale tent has 3 bedrooms at the rear for 6 people and these can be divided-up in to 2 bedrooms as a 2 and a 4 berth. 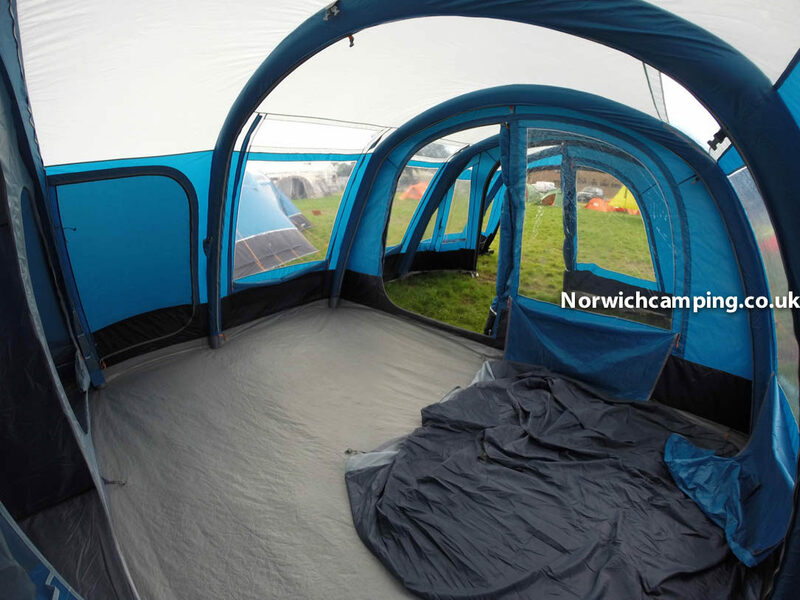 This tent comes with an inner tent that's situated in the living area, taking the sleeping capacity up to 8 people. 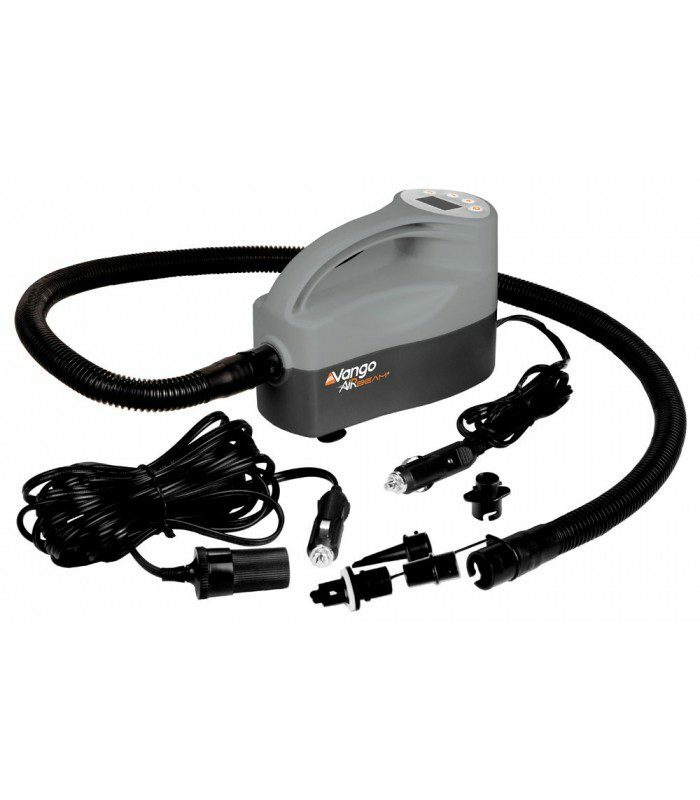 This can be removed very quick and easily, which is perfect for in the daytime to create more space in the living area. 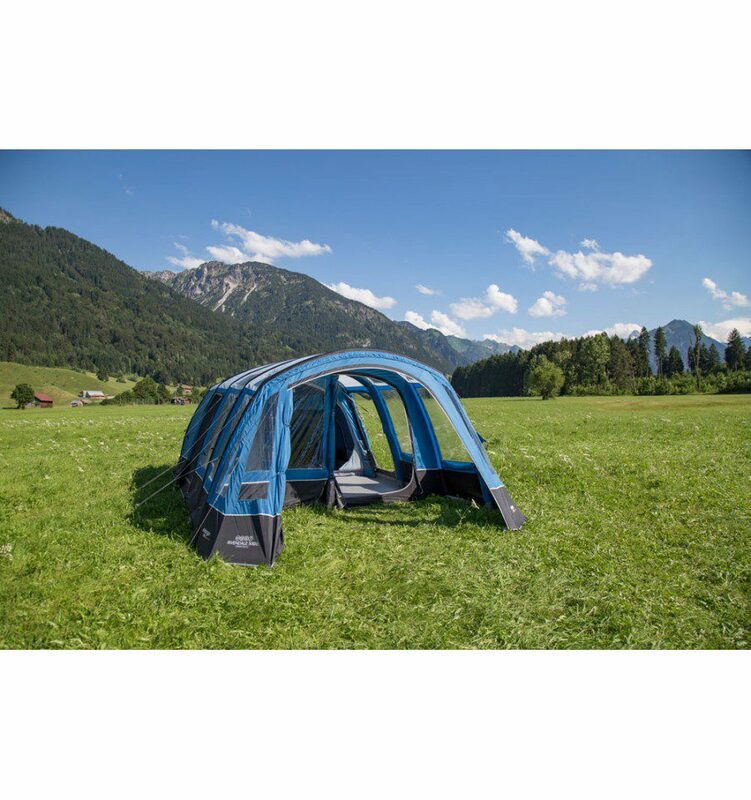 The tent has two side entrances on either side, both with mesh-screen doors that can allow plenty of airflow and will help stop bugs flying in too. 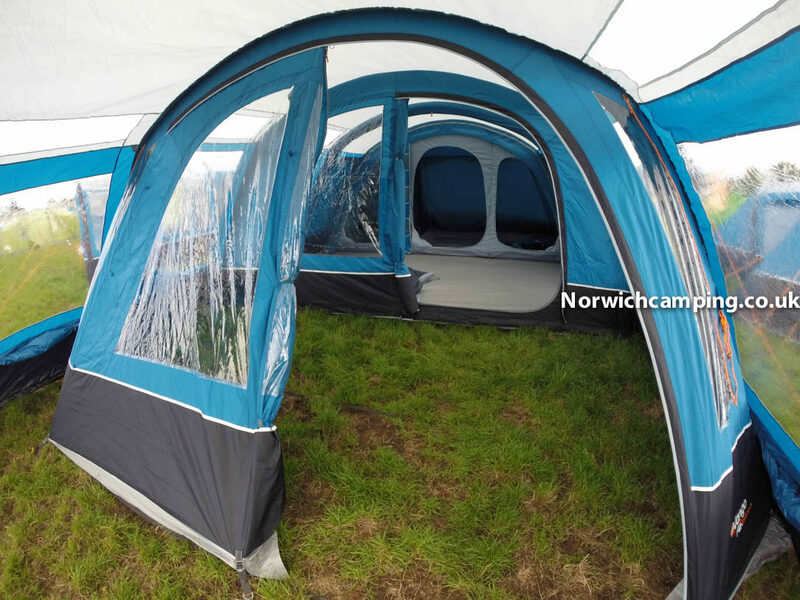 Having the Airbeam technology means that this tent is very quick and easy to pitch when you get on site, having only 5 beams to inflate. 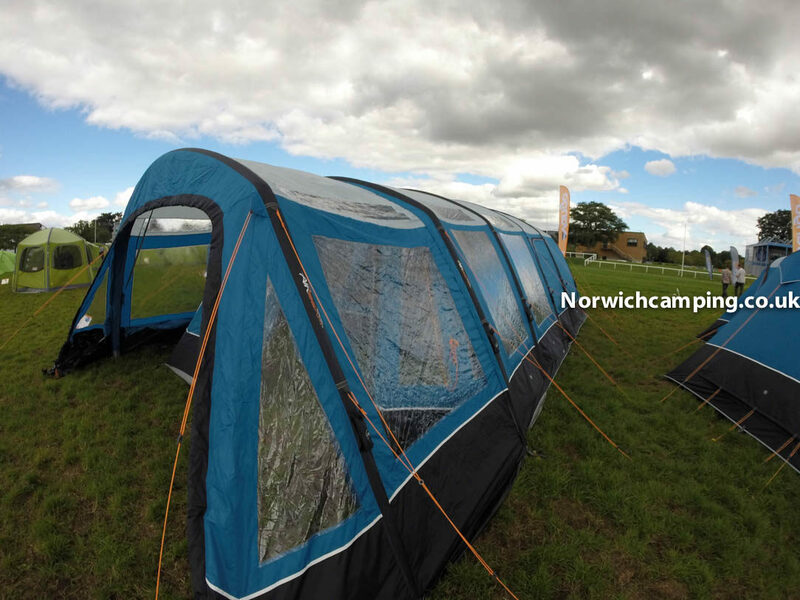 In fact, you can pitch it in around 12 minutes - not bad for such a roomy tent. 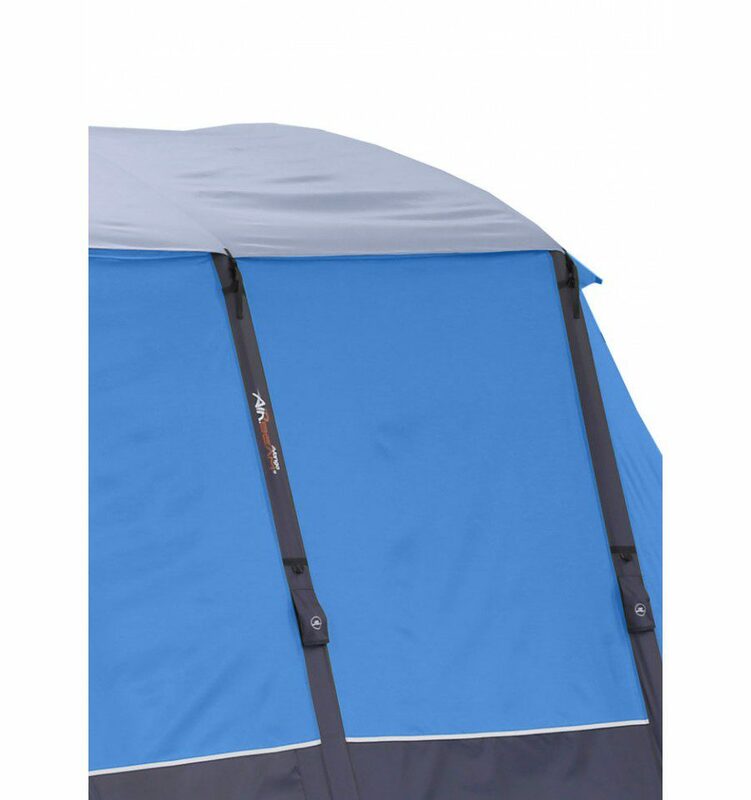 One of the best features of this tent is the front porch, which can be closed-off with the front door. 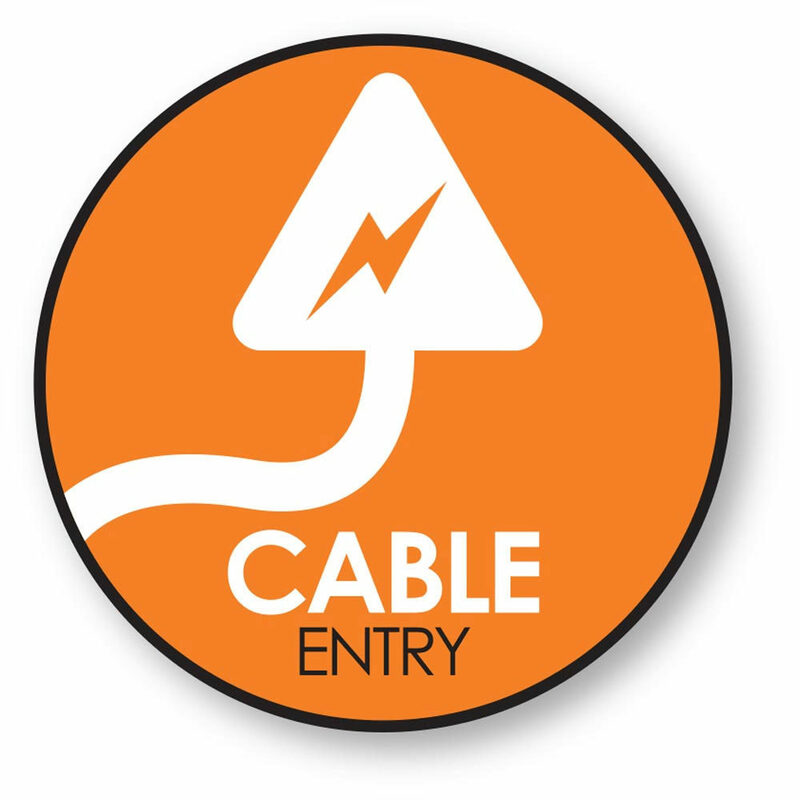 This means that you can keep all your belongings - bikes, cookers, furniture etc - dry and under shelter. 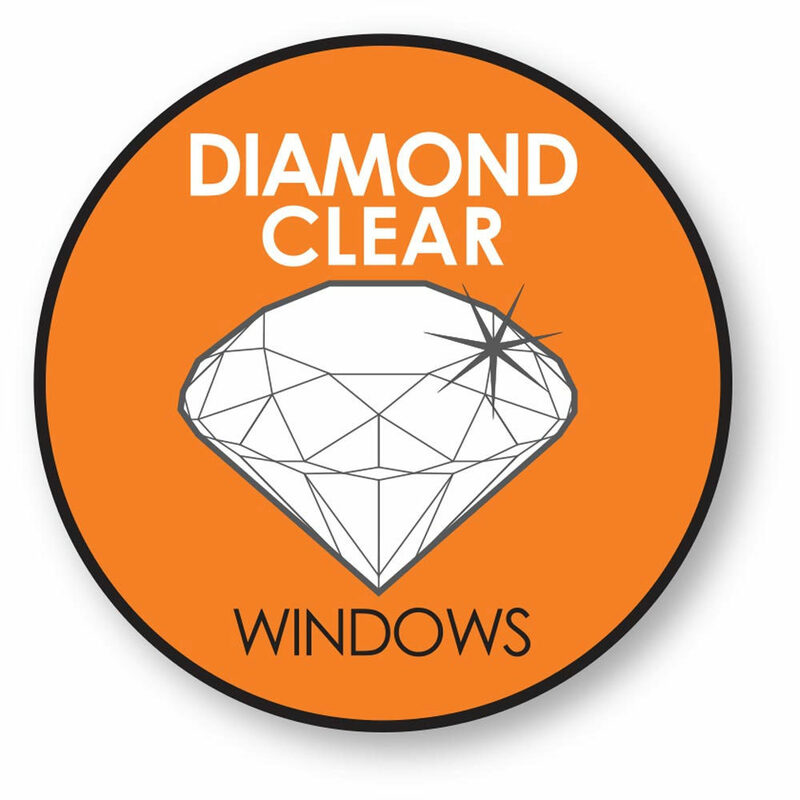 The front door is a D-shaped, so can be opened all to one side or just a little bit if you would prefer. 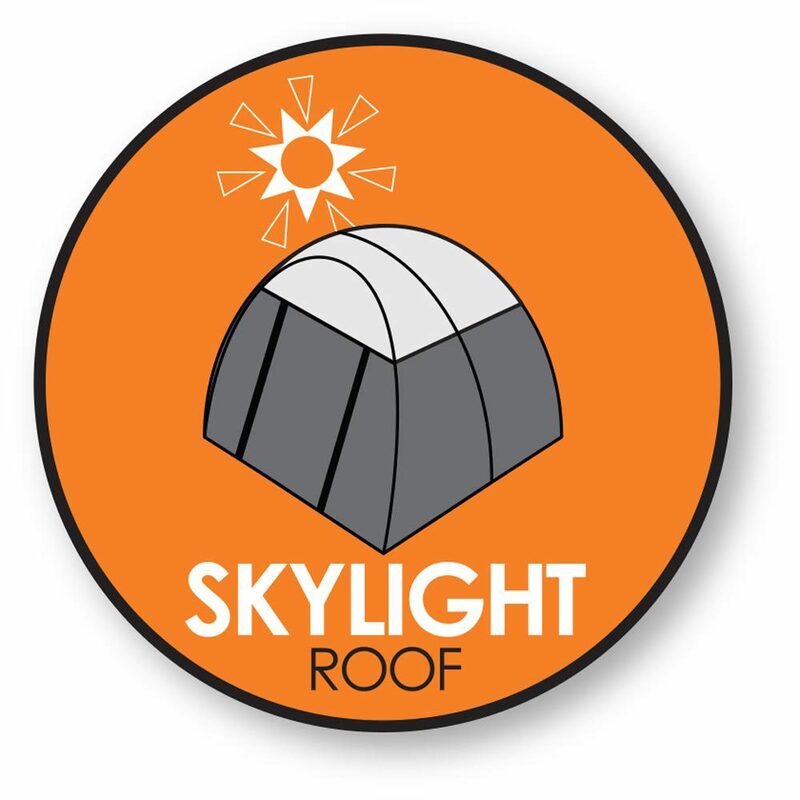 Another great feature is the skylights in the roof which allows more light into the tent and greater views. 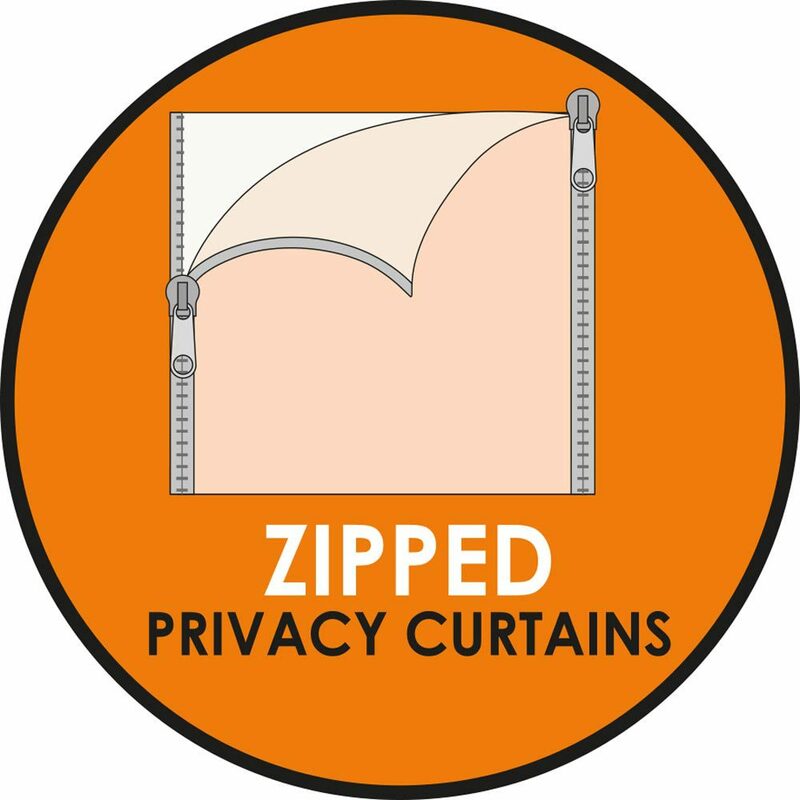 They also have zipped privacy curtains which can be zipped to the height you prefer, or all the way up over the skylights. 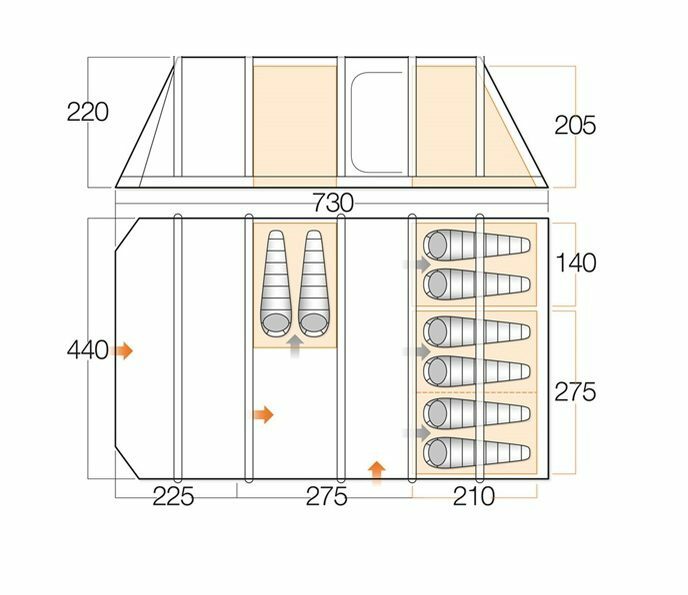 The bedrooms can now be opened up as one big bedroom, rather than just a 4/2. 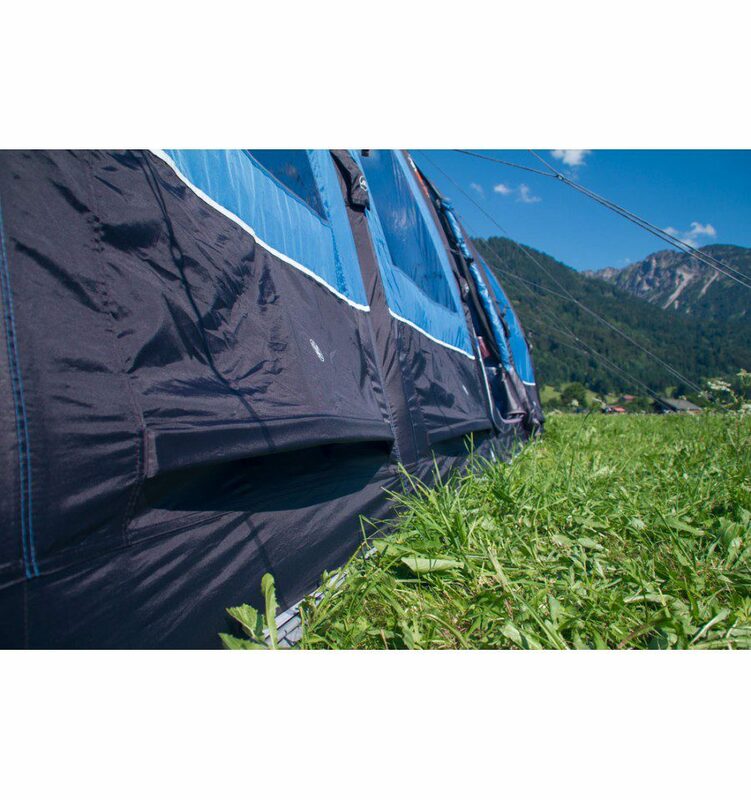 SkyTrack II - this SkyTrack system allows you to add any hanging accessories you may have, including the new SkyLiners from Vango. 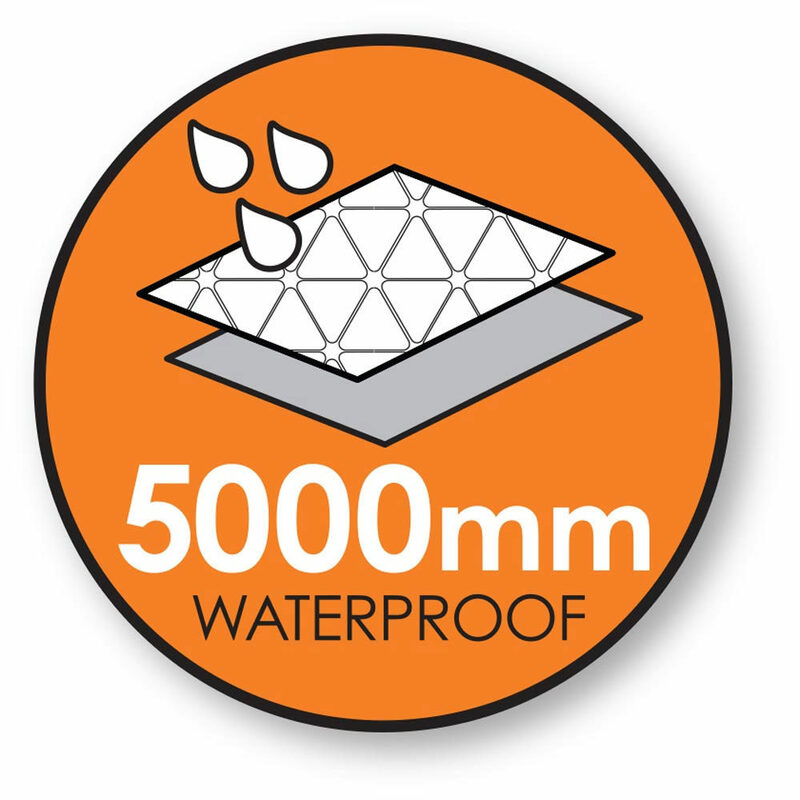 SkyShield - this is an optional extra which is 150 Denier and is added to the roof of your tent to prevent UV damage so makes your tent roof 300 Denier. 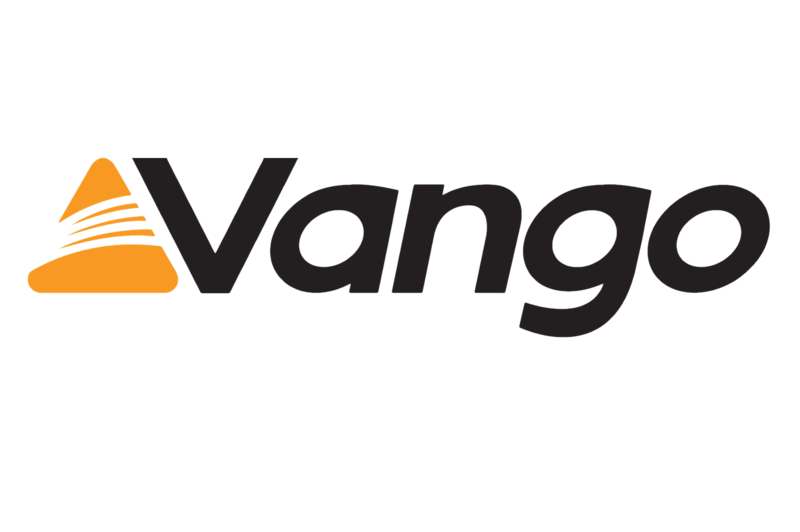 Made from highly waterproof, durable and reliable fabric that's exclusive to Vango. 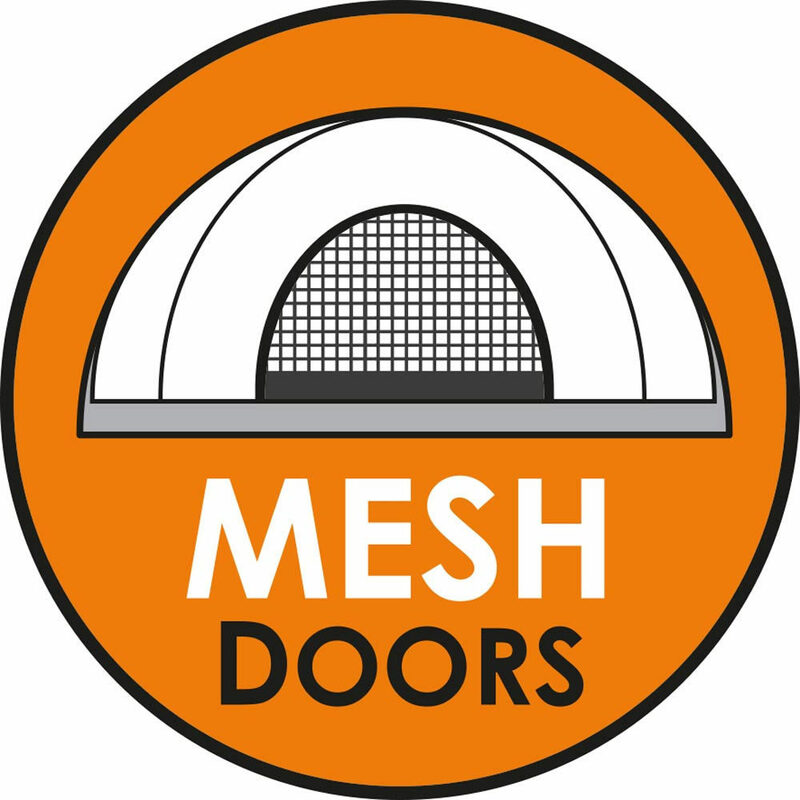 Zipped curtains to allow varying levels of opening. 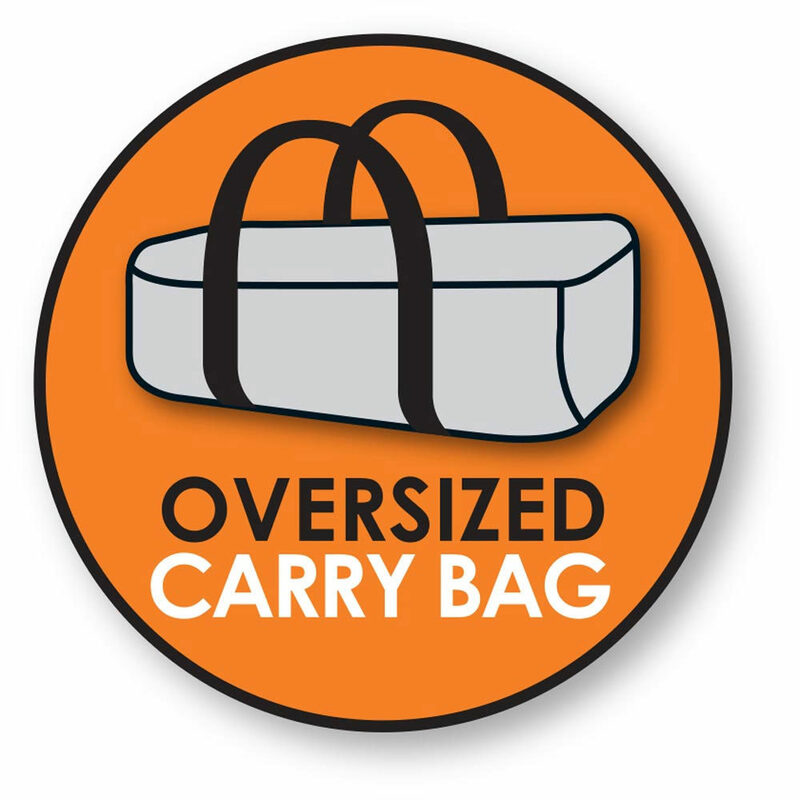 Fit to the flysheet with no gaps and simply roll down into a pocket when not in use. 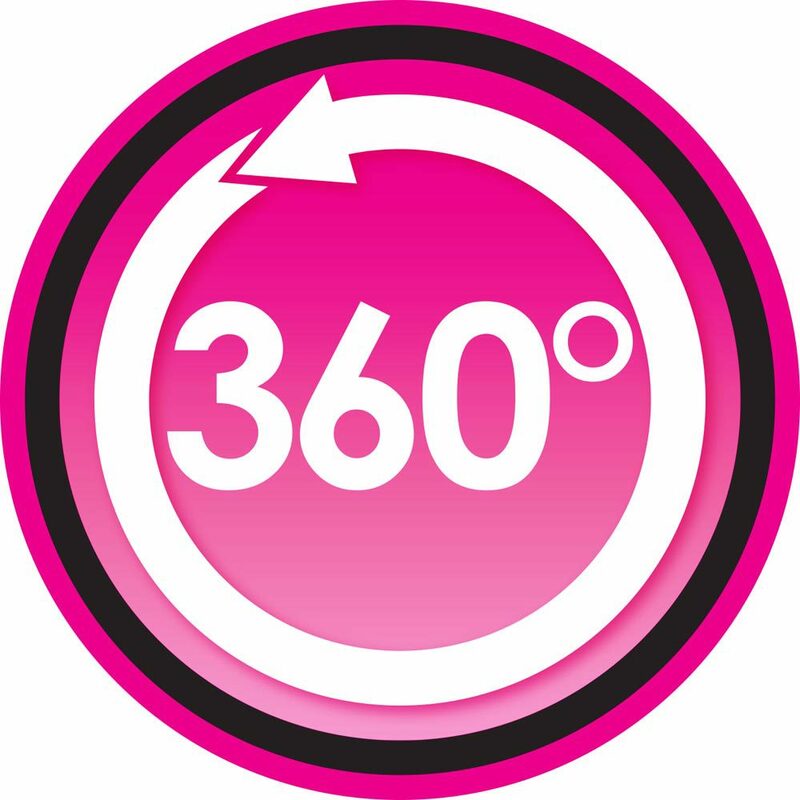 Simple and quick to use. 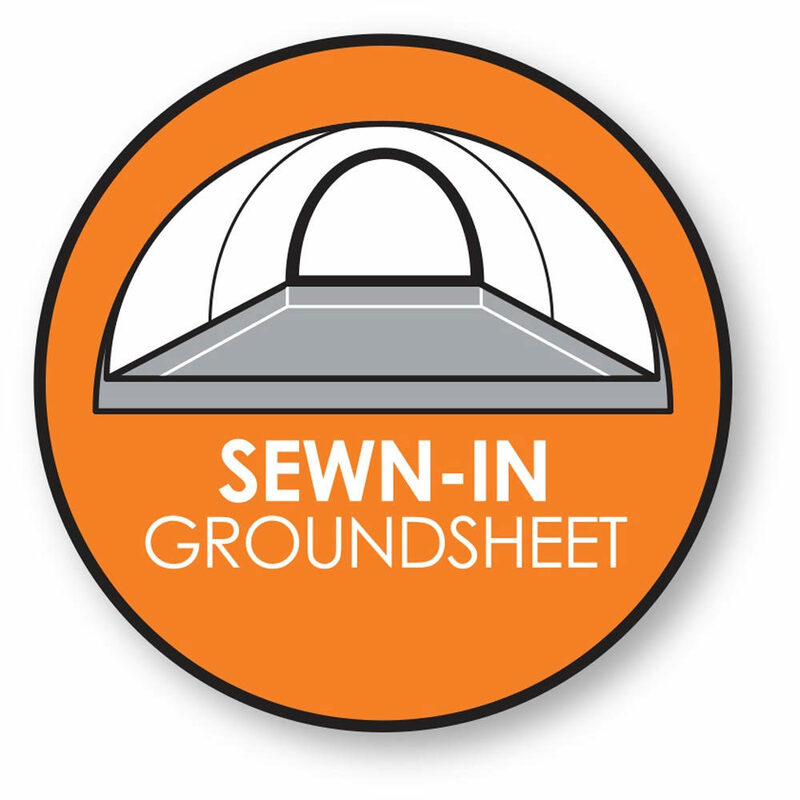 All flysheet and groundsheet seams are factory-taped, providing a strong, watertight seal. 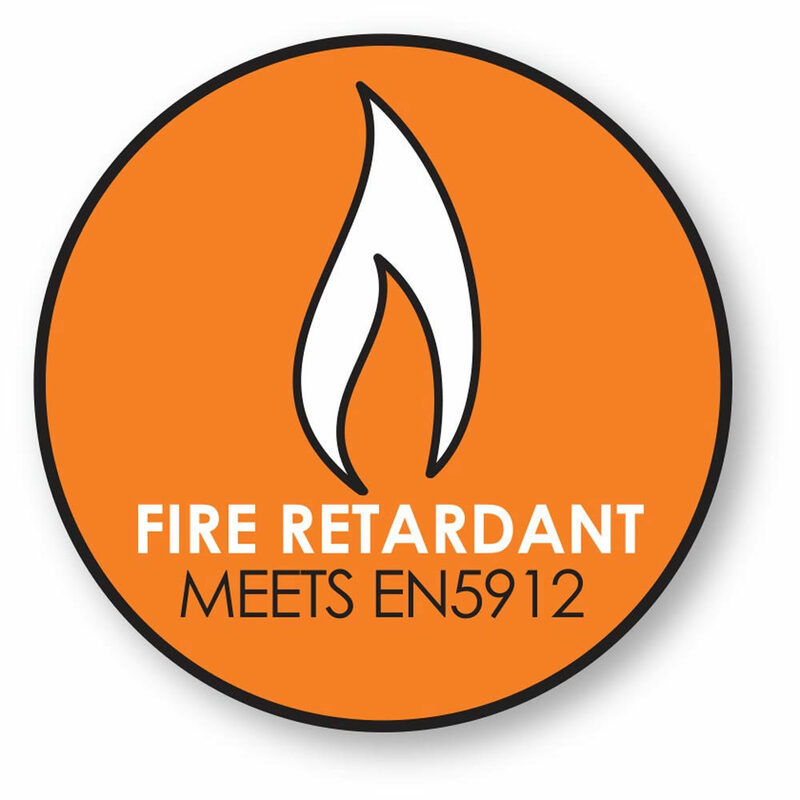 Fabrics that meet the European EN5912 safety standard. 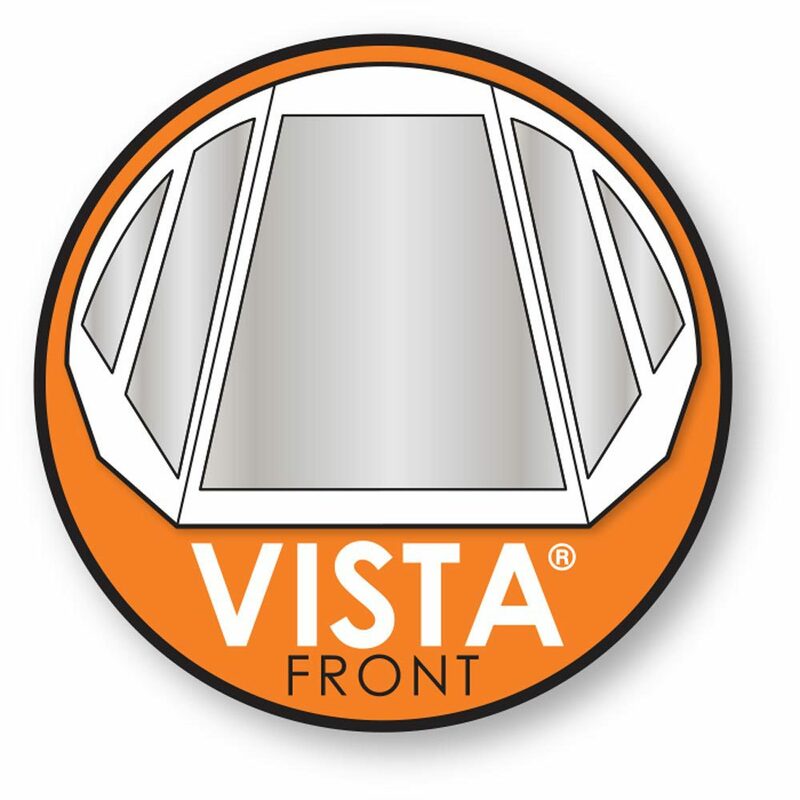 Provides additional flexibility by allowing the top of the door to be opened slightly for increased ventilation. 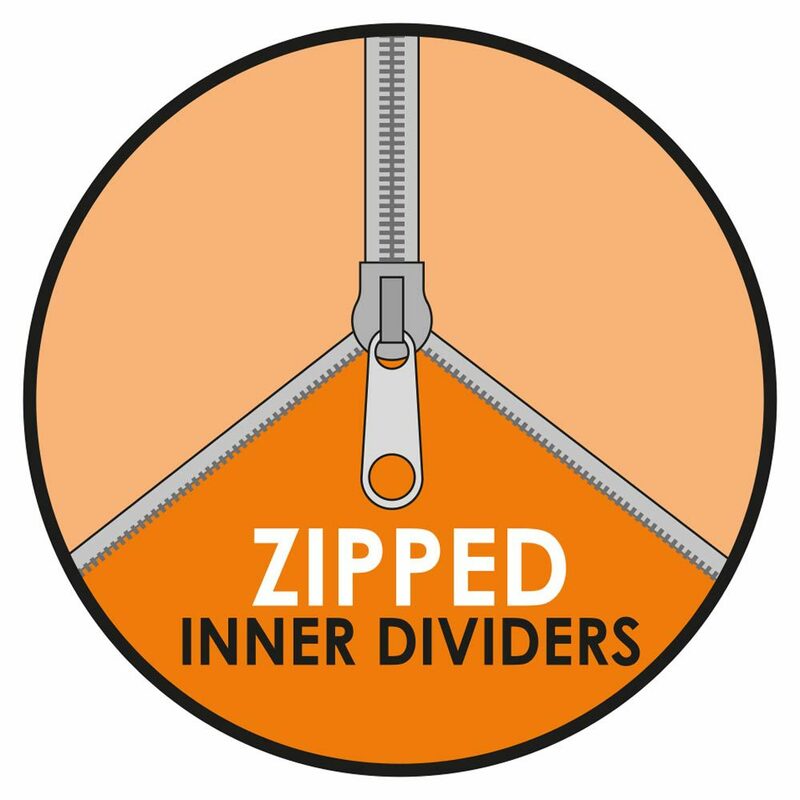 NEW, stronger, smoother and more durable zips - ideal for the heavier-weight flysheet fabric. 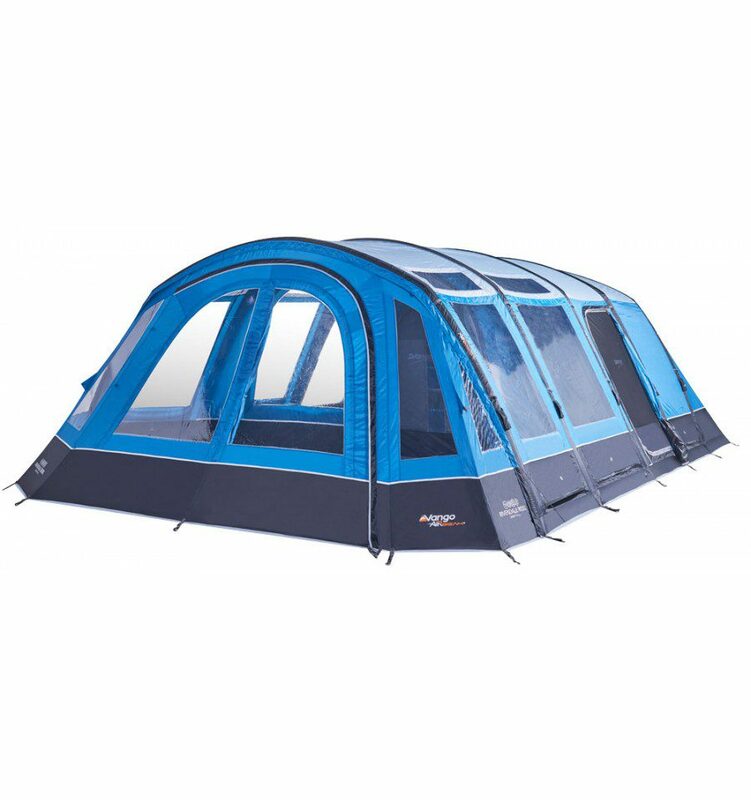 Windows which run along the roof line of the tent to increase the amount of light during the day and for star-gazing at night. 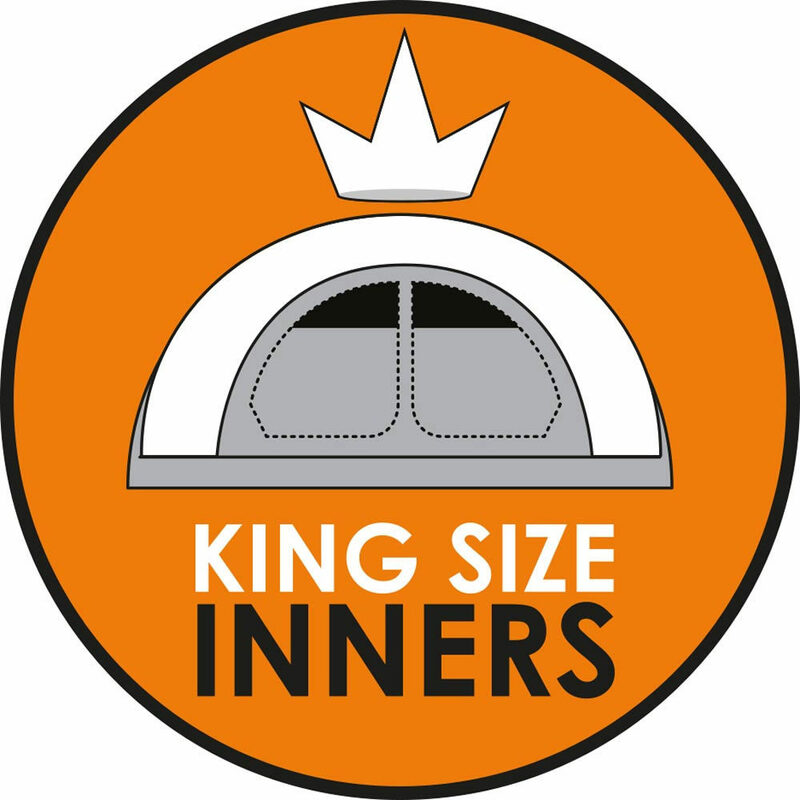 Offers greater privacy between inner bedrooms. 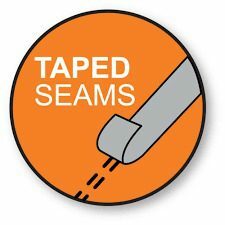 Can be rolled away when not required. 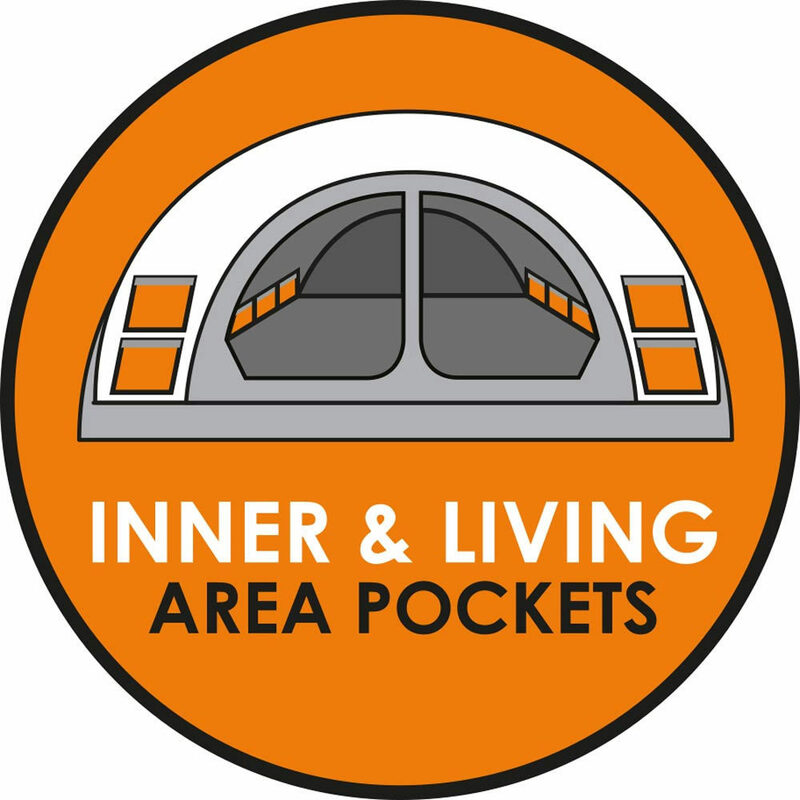 Storage pockets are conveniently positioned for storing essentials. 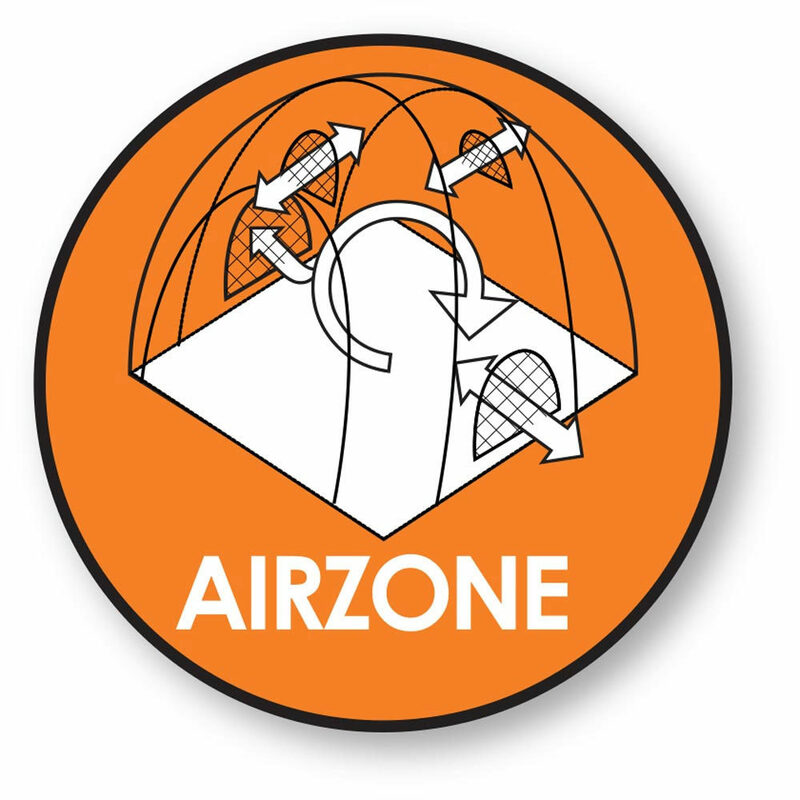 Patented guyline runners that are lightweight, easy to use and will hold-firm in windy conditions. 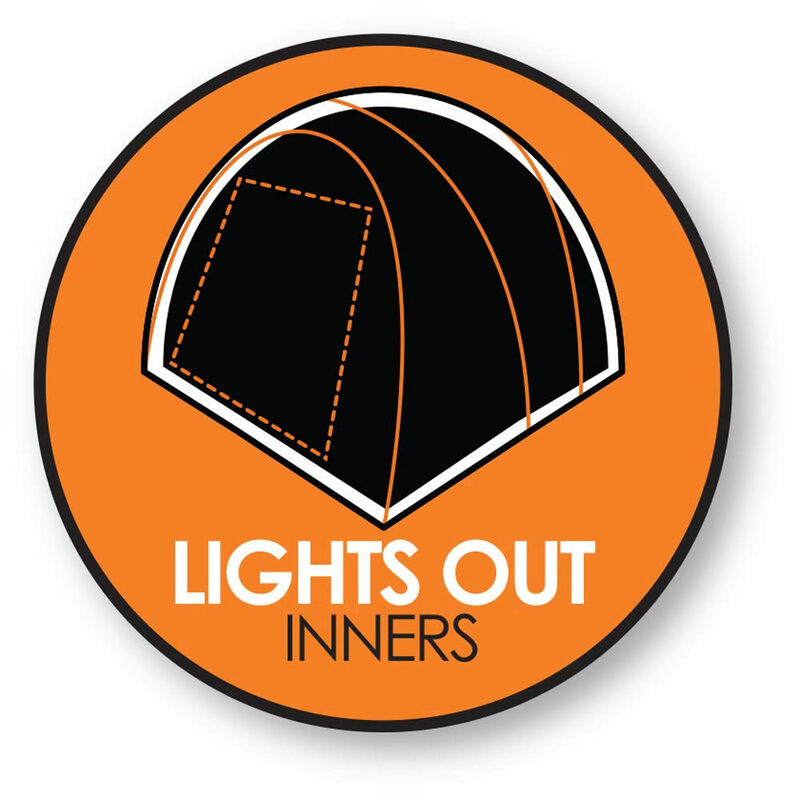 Multiple reflective points around the tent ensure that it's easy to spot in the dark. 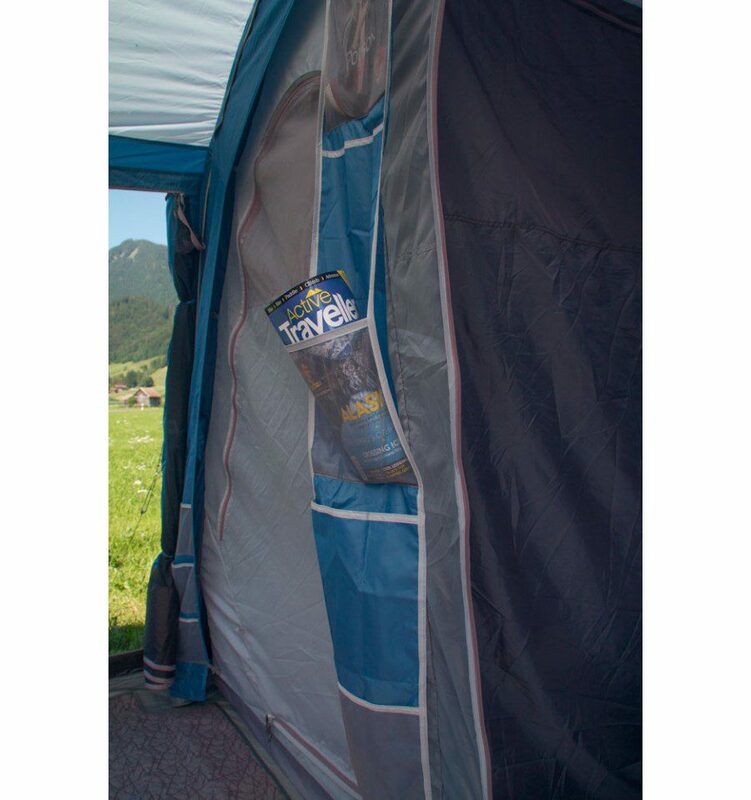 An expandable tent bag with an oversized wide opening that makes it simpler to pack away your tent. 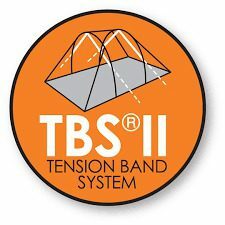 This design also includes robust compression straps, allowing you to reduce the overall pack size.